How to use Multi-User Mode to manage devices and associated costs? Home > Blog > How to use Multi-User Profile to manage devices and associated costs? How to use Multi-User Profile to manage devices and associated costs? Expanding mobile adoption across industry verticals is driving enterprises to invest huge amounts in purchasing mobile hardware. 42Gears now offers a Multi User Profile Settings on SureLock Kiosk Lockdown tool that allows multiple user profiles to be created on a single device, allowing it to be used by multiple users. This feature aims to help companies reduce their mobile hardware costs by allowing different users to access the same device at different appointed times. Each user will have a unique login access for the device and will be able to access only assigned applications and device settings. Each profile will be governed by pre-defined admin settings policies for easier management. Example – An educational institution can assign a single device to multiple students from different classes, and require access to the device at different points of time during the day. To do so, separate profiles can be created on the device with access to separate applications and study material, governed by respective admin settings. A Grade 7 student would have access to a certain set of subject material and content while the same device would offer access to different apps and notes to a Grade 10 student. The multi-user profile feature integrates seamlessly with Enterprise LDAP servers. IT admin can use their existing employee directory and hierarchy in Enterprise LDAP servers and assign desired SureLock Kiosk Lockdown profile to LDAP users or group of users. On device side, user login is authenticated from LDAP server and on successful login, pre-assigned kiosk profile is loaded. SureLock’s Multi User Profile setting is not to be confused with the Multi User Mode initially offered by SureLock. While Multi User Mode also allowed creation of unique users accounts on a single device, it was limited to only defining applications per user. But Multi User Profile Setting is more advanced and can even define admin settings for every profile. Multiple profiles can be added with different set of applications and configurations from Profile Management screen. Admin can switch between different profiles from the profile management screen by tapping on Activate option. Also, the admin can add, edit, clone or remove the profiles from Profile Management. For example, Profile1 and Profile2 are created with different set of applications and settings. When Profile1 is activated, settings of Profile1 gets applied to the device. The admin can add multiple users and associate the same/different profile for each user from User Management. Users can be added, modified, and deleted from User Management. 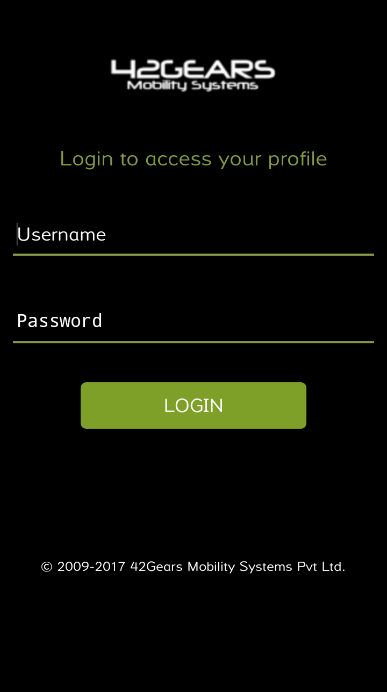 Once users are added to User Management, login screen will be displayed on SureLock Home screen. When a user logs in with the valid user credentials, the specified profile gets applied to the device. 1. Create User1, User2 from User Management. 2. Associate Profile1 for User1 and Profile2 for User2. 3. 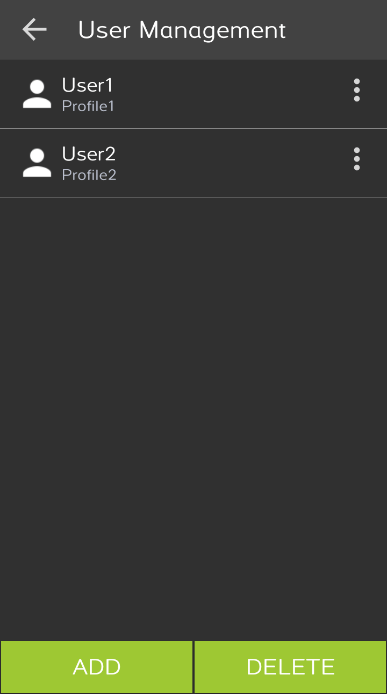 When User1 logs in, Profile1 gets applied to the device, whereas when User2 logs in, Profile2 gets applied to the device. Admin can configure LDAP server details from the Server Configuration screen. Enter Server Path, Port, Distinguished Name, and Profile Meta Data Tag and validate the details. Once the setup is done, all the users can login to SureLock and corresponding profile gets applied to the device. Note: Admin should create profiles with Meta data value in Profile Management Screen. So if any user login with his credentials, the desired profile will be applied to the device. 1. Add Profile Meta Data tag as description for User A in LDAP Server. 2. Enter Meta Data tag value as Profile1 for User A. 3. 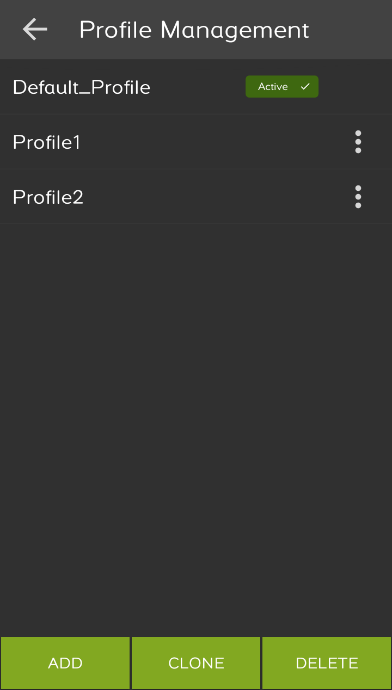 Create a profile with name Profile1 in Profile Management in SureLock. 4. When User A logs in, Profile1 gets applied to the device. 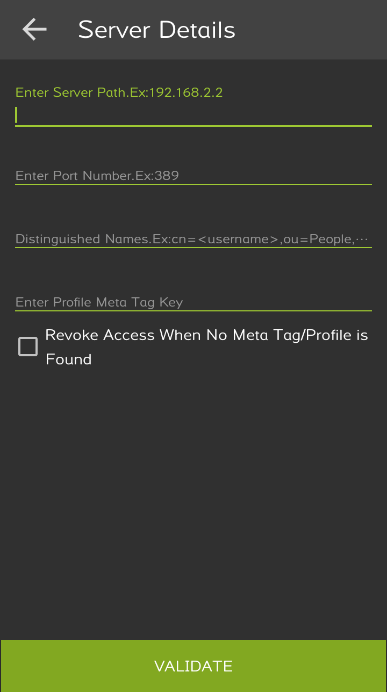 Note: Admin can also use existing meta data tags for profile management like givenName, gidNumber, cn, sn, Email. Enable– If Meta Tag is not available for the user, it will not allow user to login. Disable– If Meta Tag is not available for the user, it will apply the default profile to the device. How to add profile meta tag for each user in LDAP? 2. Select the User from left pane. 7. Click on Update Object on confirmation page. 8. Repeat the above procedure for all the users. How to Logout from a Specific User? 1. On the SureLock Home screen login into the specific user. 2. On the SureLock Home screen of the user, tap Back button. 3. 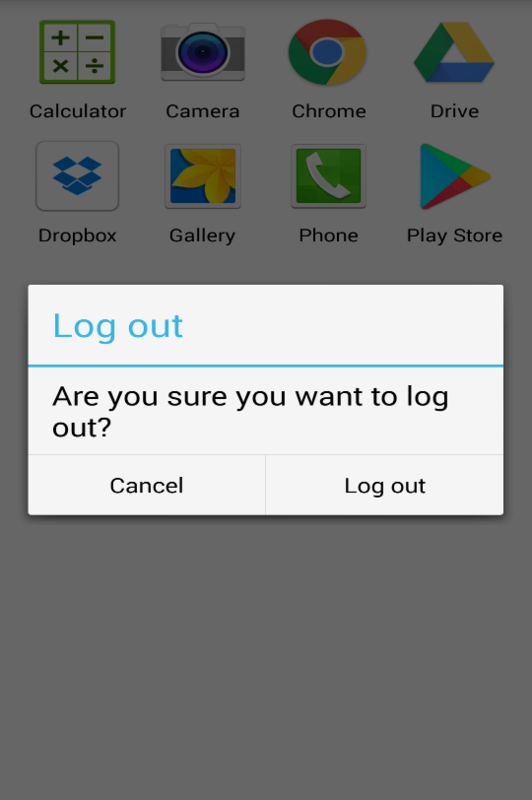 Prompt is displayed to logout, click on Log out. 4. User will successfully logout and login page will be displayed. Ready to try out multi user profile setting on SureLock? Click here for free trial.